The conference victory is the first of the Jeremy Pruitt  era and marks UT’s first road win over a ranked Auburn team since the 1980 season when the Vols defeated the No. 18 Tigers 42-0 in Auburn. 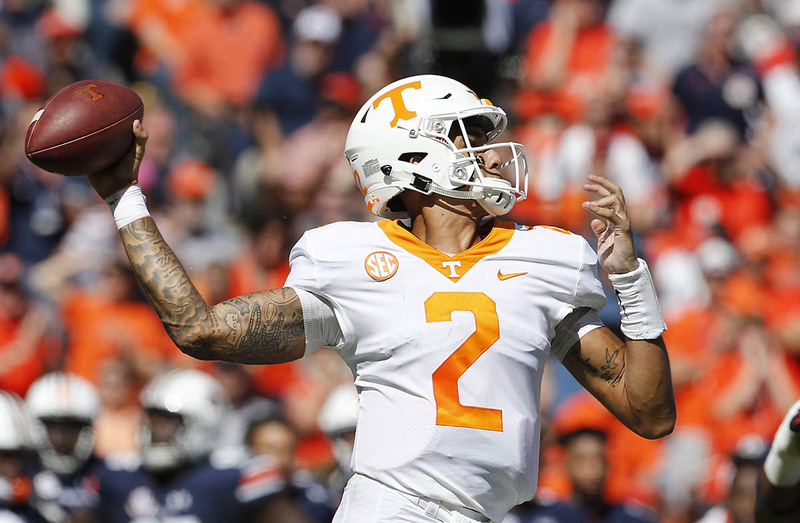 Redshirt sophomore quarterback Jarrett Guarantano  paced the Vols offensively, completing a career-high 21 of 32 passes for 328 yards and two touchdowns. 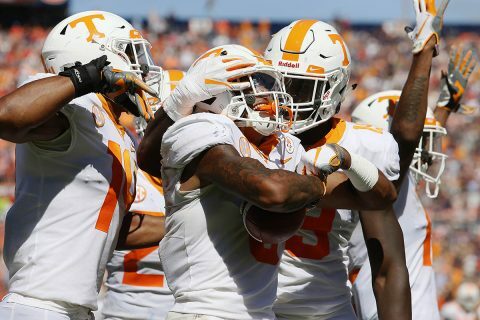 Sophomore running back Ty Chandler  rushed for 50 yards on 16 carries while redshirt junior wide receiver Jauan Jennings  caught five passes for 71 yards and a touchdown. Tennessee then added three points to the board in its ensuing possession with a 42-yard field goal by sophomore kicker Brent Cimaglia . Chandler had an 18-yard rush to start the drive while freshman running back Tim Jordan  made two plays for a combined 37 yards to set up the kick. In the second quarter, freshman defensive back Bryce Thompson  ignited Tennessee’s third scoring opportunity, intercepting Stidham’s pass on a second-and-four try with 13:05 to go to set the Vols up at their own 41. Guarantano then marched the Big Orange 59 yards in five plays, capping the drive with a 42-yard pass to Chandler for a touchdown. Cimaglia’s successful PAT tied the game up at 10-10. Stidham was intercepted again in the second quarter with 6:34 left to play by redshirt senior linebacker Jonathan Kongbo . He returned it 10 yards to the AU37. The resulting Tennessee drive ended in a Joe Doyle  punt. Auburn capitalized on the opportunity with a 76-yard touchdown pass to make it a 17-10 ballgame. Tennessee then attempted an on-side kick that Auburn recovered at it’s own 25-yard line. On the second play of the drive, defensive linemen Kyle Phillips  and Alexis Johnson Jr.  forced a Stidham fumble that was recovered and returned for a touchdown by Alontae Taylor . It marks the first fumble returned for a touchdown by a Vol since VFL Corey Vereen did so at Georgia on October 1st, 2016.